Employee Appreciation Day is an annual event, which means you are ALWAYS looking for new ideas to make this recognition celebration fun and memorable—and never the same ol', same ol'! We've put together a list of our favorite Employee Appreciation Day Ideas to help fuel your creativity for this year's event. Personally deliver a snack or sweet treat to employees. One year, managers gave each of their employees a tote bag filled with a Twist Top Tumbler and a jar of Sweet Treats. The jelly beans made for a quick pick-me-up, while the tote and tumbler provided a lasting (and useful!) memento of the day. Get the entire team involved in recognition. Create a short-term peer-to-peer recognition program by giving each employee a set number of Tokens of Appreciation. Over the course of the day or week, employees can give their tokens to each other to express their appreciation. At the end of the period, recognize those who received the most tokens from their peers. Employee Appreciation Day ideas don’t have to be limited to just the four walls of your workplace! On the Monday before Employee Appreciation Day, sit down at home and write letters of appreciation to your employees. Pick up some special stamps from the post office, hand address them to their homes, and send your letters off via snail mail. Everyone loves getting letters—what a great way to end the week! Giving employees a casual day is a free (and favorite!) Employee Appreciation Day idea. Hand out Casual Day Stickers for all employees to wear on Employee Appreciation Day—or all week! Don’t forget to fill in the stickers with personal messages for each individual. If you’re a busy manager, your staff probably values face time with you more than anything else. Schedule a team lunch for Employee Appreciation Day, and arrange for lunch to be delivered or host a potluck. Then sit down with your team for good food, great conversation, and some easygoing personal time. Choose a theme and make it fun. Three of our most popular themes are Positive Praise, Exclamations, and My Boss Thinks I'm Kind of a Big Deal. What do they have in common? Lots of smiles! When you assign a theme to your celebration, you reinforce your message through a ​coordinated appearance and consistent expression of appreciation. Give each of your employees a gift for Employee Appreciation Day. A gift serves as a tangible reminder of both the Employee Appreciation Day celebration and your appreciation. 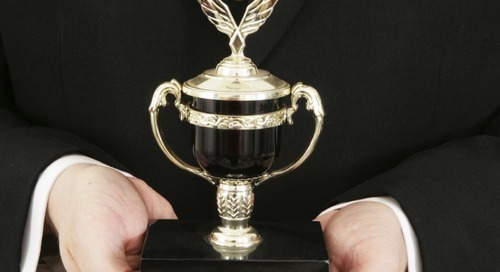 Employee recognition programs can help your organization reinforce desired behaviors.